Welcome to Bissett Equipment, a SiteOne Company, your one-stop-shop for all of your lawn maintenance needs. 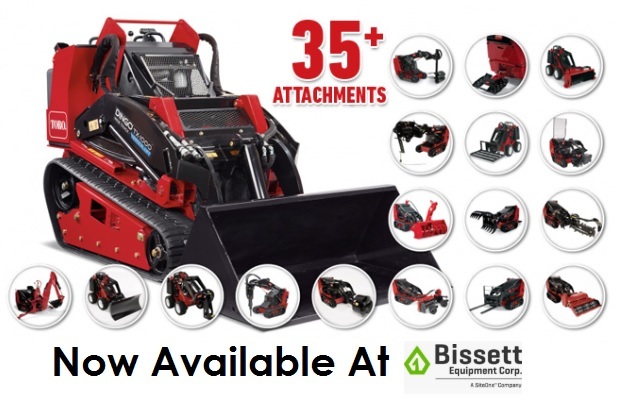 Acquired by SiteOne Landscape Supply in 2016, Bissett Equipment is the new standard for professionals when it comes to power equipment. From sales and service, to parts and rentals, Bissett Equipment is a strong believer in SiteOne's 'Customer FIRST' belief...that the #1 priority is the success of the customer, and the relationship that is built. If you need help in making your selection, call or stop in—we're always ready to help! We know individuality is important, which is why we pay close attention to the interests of each customer. From the minute you walk through the door, meeting your needs is our top priority. Founded not only on excellent customer service but also on the principles of hard work and a focused attitude, Bissett Equipment Sales & Rentals has a long list of satisfied customers. Call or stop by; you’ll be glad you did. Call today for the latest promotions!